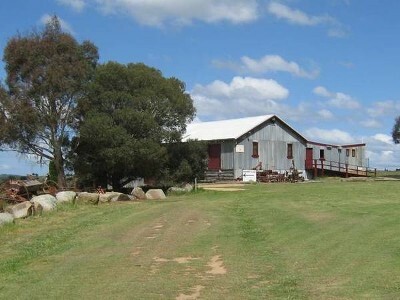 Garanvale Woolshed and Function Centre is centrally located on 17 acres, only 2.5 kms from the village of Braidwood. Included with this well established business is an approved Development Application for a Caravan and Tourist Park; a unique opportunity as it is the only one in the immediate Braidwood area. This property's situation is critical to the success of such a development being so close to Braidwood, with a proposed walking/bicycle track to the village. The DA includes 20 cabins (40 bedrooms, sleeps 80) which moves Braidwood into the untapped conference market previously limited by the lack of appropriate accommodation in the area. The extra accommodation also means that the large coach tours would be able to stay overnight in the one location. With the proposed 30 powered sites, the development will also provide much needed facilities for the ever expanding caravan/mobile home market which is currently not catered for in Braidwood. This property is well worth an inspection. All plans and documentation relating to this property are available at the office for genuine buyers only.